Someone recently asked me why cookbooks go out of print. I was thinking about it and when trying to find out how many cookbooks are introduced each year, I couldn’t find any accurate statistics except for “hundreds.” In publishing, cookbooks also have two seasons; fall and spring. Depending on the subject, the publisher will decide when is best to release it. And for a variety of reasons – publishers fold one book division into another imprints, editors leave, etc. – or certain topics just fall out of favor. 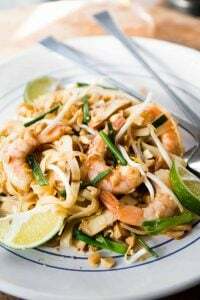 At the risk of dating this post, at the moment, current popular topics are gluten-free, paleo diets, and slow cooker recipes. (If you write a book that encompasses all three, you’ve hit the trifecta.) One trend that did come along, and stayed with us for a while, was low-fat cooking and baking. Then it kind of faded away as other topics grabbed the public’s interest and that genre of book faded away. One person that was ahead of several curves is Alice Medrich. Alice was one of the first people to introduce top-quality bittersweet chocolate truffles, cakes, and other treat to Americans, with her legendary bakery, Cocolat (which is now-closed), and a string of spectacular cookbooks. So when Alice writes something, it’s worth taking notice. Alice just came out with a fantastic new book called Flavor Flours, for those interested in experimenting with baking with different kinds of grains and flours, such as corn, teff, chestnut, buckwheat and coconut. Like all of her cookbooks, this is a great baking book — period. And not just for those avoiding wheat flour. But for anyone interested in experimenting with different flours, exploring the delicious dimensions they can bring to desserts, this is the book for you. I’ve bookmarked the Buckwheat Gingerbread, Seed Crackers, and Cocoa Crêpes Filled with Chocolate and Walnuts, because I’ve always admired chocolate crêpes from afar – what’s not to like? – but never gave them a go in my own kitchen. People are often surprised when I tell them that one of my all-time favorite baking books is Chocolate and the Art of Low-Fat Desserts by Alice, which unfortunately is one of those books that has gone out of print. (You can find used copies on Amazon and AbeBooks.) But don’t let the name turn you off; this isn’t a book that apologizes for the lack of anything. There are multi-layered chocolate cakes with cream, butter, and dark chocolate, in quantities moderated so you don’t have to feel like you’re missing anything when you take a bite. The buttermilk pound cake is long-time favorite recipe from the book, as are the chocolate chip biscotti. And like Flavor Flours, this book isn’t about apologies, but presents opportunities to play around in the kitchen, this time toning down the butter and eggs, and using other flavors to dial up the desserts. Hanging around in the back of my computer, I found an old blog entry that I started back in 2005 to share her recipe for Apricot Yam Loaf, which shows off this technique well. Flavorful, tangy apricots (I use the California ones, which are more tart than other varieties) are embedded in a colorful batter made with vibrant sweet potato puree. I actually had to dial down the saturation with photo editing software when I snapped a shot of my cooked sweet potatoes because I was concerned that no one would believe me how brilliant the flesh actually. 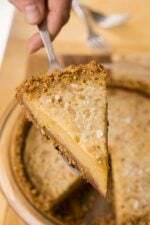 The apricots get plumped in vermouth, then baked up in a loaf with a handful of nuts, resulting in a cake that’s low(er) in butter and eggs than traditional cakes, but packed with beta carotene, courtesy of sweet potatoes, which gives the taste a rich, buttery crumb as well. Can you tell how much I love it? Healthfulness aside, I decided to go for broke and add a spread of cream cheese frosting to cake. I don’t think there is anything better than cream cheese frosting and I think there are few things that aren’t improved by it. And this cake was no exception. Adapted from Chocolate and the Art of Low-Fat Desserts by Alice MedrichIn the United States, most of what are labeled yams are actually sweet potatoes, including the orange beauties that I bought, which I am sure are botanically sweet potatoes. Because there’s enough confusion in my life, my strategy is simply to go to the market and pick out the ones that have the most vivid orange-colored flesh, and use those.Another thing that confounds people, myself included, are recipes that call for “sticks” of butter as a term of measurement. Having baked professionally in restaurants, if we had measured butter in terms of “sticks,” we would have spent hours unwrapping sticks of butter all day long. Even though I know they are 4 ounces (about 115 grams), it’s hard to wrap my mind around them. However, when you’re embarking on a baking project and your scale seems to have gone missing, you appreciate those sticks of butter with their little marks that tell you how much to lop off if you need, say, 4 or 6 tablespoons. So for the scale-less, maybe we need to start showing a little more love to those buttery sticks?I usually oven-roast sweet potatoes since it concentrates their flavor. So if you have the oven going for something else, you can prick them a few times with a paring knife, wrap them in foil, and bake until they are tender all the way through. (It’ll take about 45 minutes in a 400ºF/200ºC oven. When done, a knife should go all the way through, meeting no resistance.) Because I wasn’t planning on using the oven, I cooked the sweet potatoes in a microwave oven. Simply prick each 5 or 6 times with a paring knife, place them on a paper towel, and microwave them at high power for 5 minutes. Carefully turn them over then microwave for 3 to 5 more minutes, until they are cooked all the way through. Alice peels and cuts hers into chunks then simmers them in a saucepan with water, until tender – about 15 minutes, then drains them well. Press the pulp through a mesh strainer, potato ricer, or puree in a food mill or food processor. 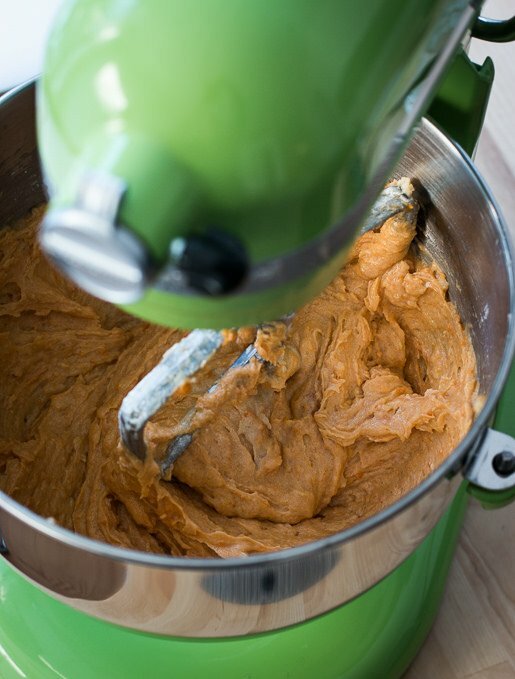 You can also use unsweetened canned pumpkin or sweet potato puree.Note that the recipe calls for sifted flour. 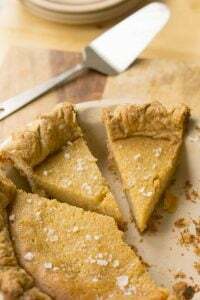 The best way to measure it is to put a 1 cup dry measuring cup on a piece of parchment paper, and sift the flour into the measuring cup, sweeping the top with a knife or flat spatula to level it. Leftover flour on the parchment paper can be dumped back into the flour container.I baked my two loaves in 8-inch (20cm) foil loaf pans, because my regular loaf pans are somewhere else, along with my scale. You can also bake the cake batter in one deep, large 9-inch (23cm) loaf pan, although the result will be a hefty, dense loaf. It does turn out better if baked in two loaves. (You could also bake it in two 9-inch loaf pans. The cakes will be a little more squat, but will taste delicious.) I would imagine it could be baked in one bundt pan or regular cake pan. If so, bake the cake until a toothpick inserted into the center comes out clean. 1. 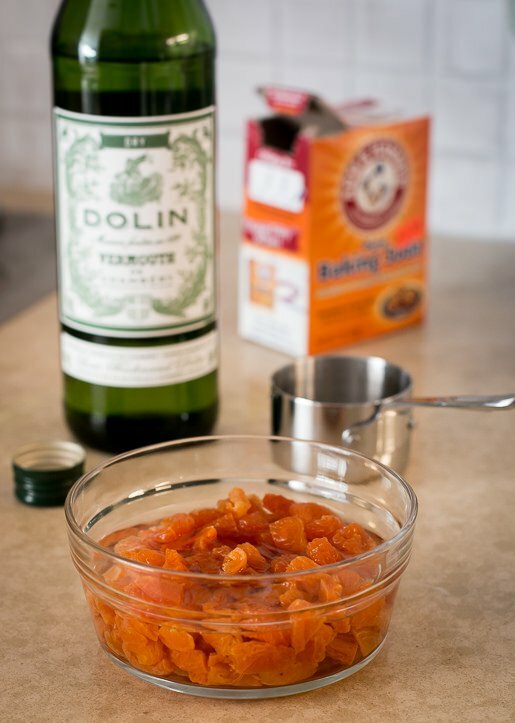 To make the cakes, marinate apricots pieces in vermouth for at least 30 minutes. Drain, pressing the apricots gently to extract all the liquid. Reserve the liquid. 2. Preheat oven to 350ºF (180ºC.) Grease with non-stick spray or butter two 8-inch (20cm) loaf pans. 3. In a medium bowl, whisk together the flour, salt, baking soda, and baking powder. 5. Mix in half of the flour mixture, then the drained vermouth and sweet potato puree, then the rest of the dry ingredients. Stir in the nuts and apricots. 6. Divide the batter into the prepared pans, smooth the tops, and bake about 55 minutes, until a toothpick inserted into the center comes out clean. Remove from oven and cool completely. 7. 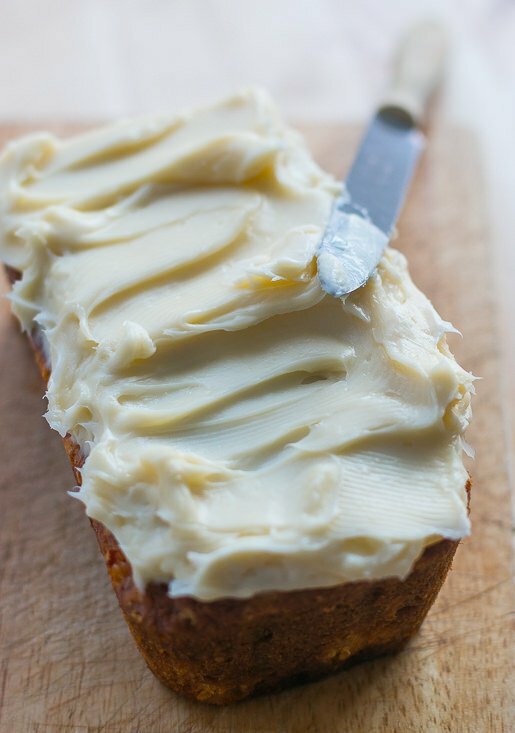 Once cool, make the cream cheese frosting by beating the cream cheese with the butter and vanilla. Add the powdered sugar, mixing until smooth and lump free. Run a knife around the outside of the cakes and slip them out of the molds. Divide the cream cheese frosting on top of the cakes, spreading it with a knife or spatula. Storage: Since the recipe makes two loaves, you can freeze a cake (without icing) if well-wrapped in plastic, for up to two months. If you only want to ice one cake, simply cut the cream cheese icing recipe in half. The cakes will keep for up to five days at room temperature but once iced, should be refrigerated if you plan to keep for more than one day. Note: While I love the cream cheese frosting, the cake is excellent without it, too. not sure where you are– but adore the color palette of the post!!! and thanks for the memories of SF– back when. Loved Cocolat, Alice was and is INCREDIBLE. will have to try this recipe. love freaking out the Italians with sweet vegetable desserts. just made carrot cake and zucchini bread, pumpkin bread was next up– if i can find a sweet potato— will do this too! Ooh I hate sticks in recipes and cans as well. I am in Australia and never know what size a stick is in other countries and if they are the same as in Australia, which they obviously aren’t given I have just checked and our sticks are 250g… At least with a tablespoon I know the differences easily. 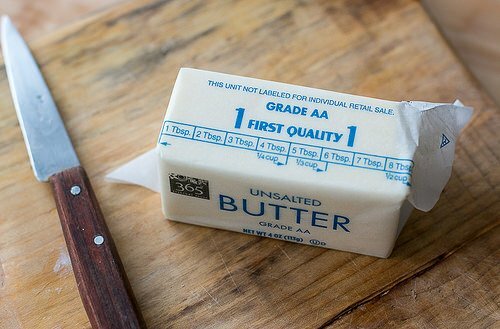 When I first starting writing cookbooks, the copy editors would change the butter quantities to “sticks” which confused me, because I wasn’t used to baking by “sticks” of butter. But some people do. Since the sticks are noted with tablespoon/ounce marks, to me, it makes more sense just to use those. But even in France, where ingredients are usually weighed, packages of butter are sometimes marked with gram marks, too. I always wondered about cookbooks going out of print – some of my favourites that I’ve collected over the years are now impossible to find in any store. Thanks for enlightening me! I had almost forgotten about one of the first chocolate books I bought, Cocolat! It’s a coffee table kind of book and the pictures are jaw-dropping. I was so in awe of it that I think I only made one recipe. Dried fruits in vermouth, that’s an interesting idea. And what is it about cream cheese frosting? So ridiculously addictive. I was actually thinking it’d be interesting to steep the apricots in the vermouth longer, and using it as a base for a cocktail! Oh, here you go again… mixing soaked apricots and nuts into a moist dessert… I still haven’t quite gotten over those apricot rosemary bars that still show up in my culinary dreams. Thanks for the lead on the book. I have a pantry full of interesting flours like my buckwheat, chestnut, rye, etc., that I don’t get a chance to use as often as I would like. BTW, the chestnut flour makes dreamy crepes. And I have been known to fill them with chestnut cream as well. Divine. 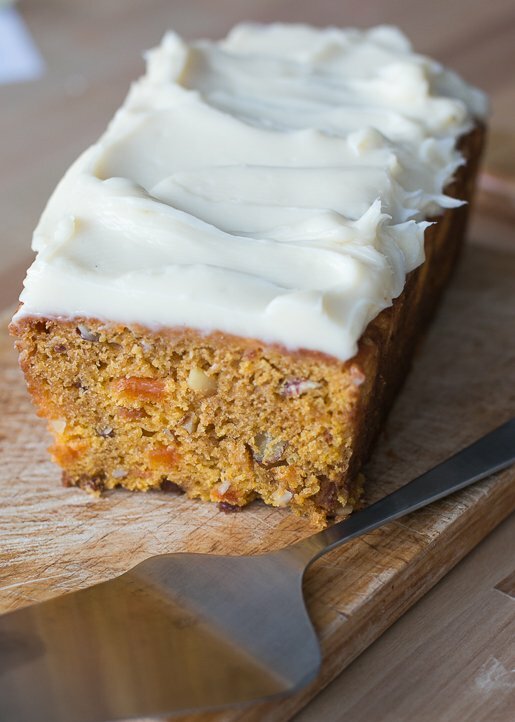 This looks easy enough and it a good alternative to carrot cake…. I meant is a good alternative for carrot cake…oops. I just have to say that I loved the Cocolat cookbook – I probably eventually made at least half of the recipes (with great success), even though I had no prior experience with baking anything nearly so complex before that. The Baby Shower cake with ricotta/cream cheese frosting has to be my husband’s favorite cake ever. The combination here of vermouth, apricots, and sweet potatoes sounds a bit odd to me, but given the provenance I’m interested in giving the recipe a try. I noticed the recipe says sweet vermouth, but it looks like dry vermouth in the picture. Does it matter much? 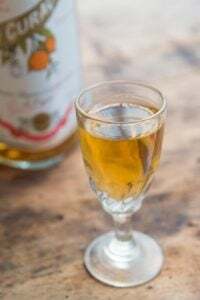 In her original recipe, Alice calls for “sweet” vermouth, which I think may have been because when the book was published in 1994, there was a brown vermouth that was labeled as sweet vermouth. But I did use regular white vermouth, and updated the recipe here to show how I made it. Thanks for having sharp-eyes! OMG! It reminds me about how we in my family always had potato/banana cake when I was a kid!! Yum! I have Alice’s new book; it’s been terrific. She has a recipe for a chocolate pie with a cornflake crust I’ve been eyeing. i’m with you. cream cheese frosting forever!!!!! Did you ever work out where to get decent butter in New York David? For baking most stuff is not too bad, but on bread I really miss the French butters. Do you have trouble finding sweet potatoes in Paris? I’ve just moved here, and I don’t think I’ve seen them. Of course, I’m still figuring out where to go. 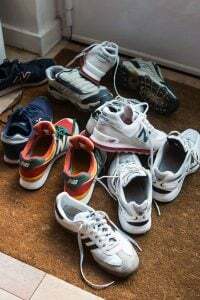 You can find them in neighborhoods, like Belleville, with multicultural communities – also at most outdoor markets, there are usually North African or Middle Eastern vendors who carry them. They’re not widely eaten in France, by French people, although there are butternut squashes that could be used. Looks delicious David, Im going to try it this weekend, any experience or thoughts on freezing it (sans topping of course)? Yes, please check at the end of the post/recipe, where I gave notes on that. Another apricot apricot cake which I’m looking for. Thanks for the recipe. David the recipe looks great. Thank you. 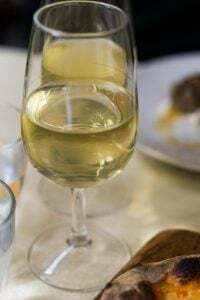 Could you please suggest some alternatives to the vermouth (both alcoholic and non-alcoholic). I’m wondering about the cream cheese in France. Here in Austria, the only cream cheese you can get is a cream cheese spread (even Philadelphia brand) which results in runny cream cheese frosting. Super sad! Can you buy the bricks of cream cheese in France or did you make your frosting in the U.S.? I made this in the U.S. for the post, but I’ve made the cake in France with equal success. You can, indeed, get cream cheese in France. Check out Ingredients for American Baking in Paris. I’m so happy that you introduced us to Alice’s book. 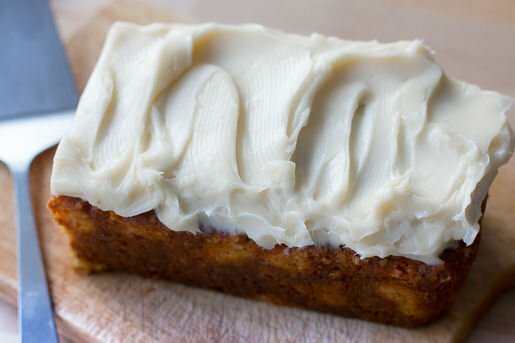 I have a soft spot for all things sweet potato (and all things cream cheese frosting), so this looks like a perfect slice to me! I live in France, and I’ve several times tried to make cream cheese frosting. I have a nice thick butter-cheese mixture and I gradually start adding the “sucre glace”. Before long, the mix turns into liquid and remains liquid even when all the sugar is added. This has happened consistently on numerous occasions, so I no longer attempt it. Is this because of the difference you mention on one of your pages between American and French versions in the anti-clumping agent used? Any other reason you can think of? I love cream cheese frosting, but living here, I cannot make it. I’m considering using rum as a vermouth substitute. For a non-alcohol substitution, I’m thinking hot ginger tea for the apricot soaking. How much flavor does the vermouth provide? Omg, can’t wait to try this! Looks fantastic! Holy moly David, this looks exceptionally delicious, such a wonderfully surprising combination of flavors and ingredients. You always deliver Mr. Lebovitz! Thank you for the butter suggestions. Dean and Deluca sell imported butters, but they never have a date on. Somehow I feel that they do not taste of much, and wonder how long they have been on the shelf for. I have some leftover canned pumpkin and apricots in my freezer. The fresh apricots may be too mushy. What do you think? Looks delicious. Never baked w/Vermouth, and am anxious to try this! Can’t see where to print out the recipe, help. This sounds sooooo gooood. 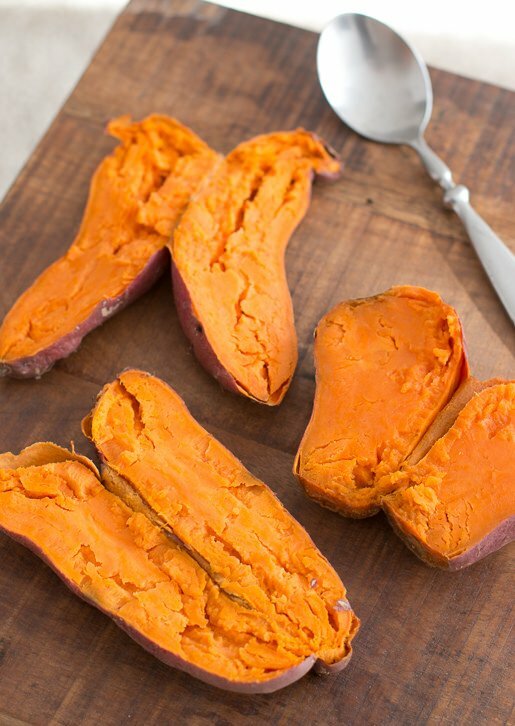 This looks and sounds seriously delicious – I have lately become a huge fan of Japanese sweet potatoes and their more sturdy texture – I must try them in this recipe asap – thank you! This recipe sounds so good—going to try it this weekend! I often buy various squashes for decorative purposes in early fall. A few months later, I bake them all, make puree, and freeze in 2-cup portions. Squished flat in Ziploc bags, they store easily and defrost quickly for baking and soups. I have also successfully frozen half portions of cream cheese frosting—a quick whisking after defrosting and it’s ready to go. I recently took a class from Alice Medrich’s co-author on Flavor Flours, Maya Klein (here in Portland, Oregon at the Bob’s Red Mill HQ). Fantastic recipes! The Chocolate Layer Cake is one of the best I’ve ever tasted, gluten-free or not—it was a huge hit with the GF guests at a recent party. Thanks, David, for all the great recipes, ideas and stories! I have to agree about the cream cheese frosting, my all time favorite. That cake looks delicious, although I think I would be inclined to soak the apricots in bourbon. The only thing better than cream cheese frosting is chocolate cream cheese frosting. That is bested by chocolate cream cheese frosting on graham crackers. Seriously this is my favorite combo. I was busy today and almost skipped the post(and I never do that) so glad I read it. Thanks David for again making my day! What a heavenly post! As for the lowfat stuff do learn the hard facts from that excellent American journalist Nina Teicholz and her revolutionary bestseller The Big Fat Surprise. To be ordered from amazon.com as it is not published in Europe until July. This has been my favorite sweets cookbook since it came out in the mid ’90’s. Mine is full of notes and tweaks so I added your notes to this recipe, which I will try as soon as we finish the banana/carrot/chocolate chip loaf. Thanks for another wonderful recipe. Love your recipes and your blog! I look forward to your name in my Inbox – it brightens my day! Tj: I’ve never had that problem using the cream cheese in France, either with “supermarket” brands or Philadelphia-brand. So can’t say. witloof: I’m a big fan of bourbon but it’s a large quantity so may be awfully strong. But if anyone tries it, it’d be interesting to know how it turns out. 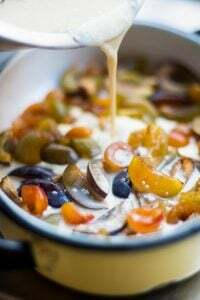 Gerlinde: The recipe calls for dried apricots, so the softish previously fresh ones you have in your refrigerator wouldn’t be suitable for the recipe. My favourite thing is to bake with sneaky vegetables, and I find sweet potato to be perfect for this (especially when mixes with chocolate!!). The combination with apricots is not something I had thought of. I’ll be trying this recipe out soon. I’m trying to think of a cocktail recipe to use the fruitified vermouth. I’ll have to put my chef/bartender daughter on the job! The cake looks great and so does that easy recipe. All are staple ingredients in my kitchen -including the sweet potatoes. I’ve always had the sweet potato cake made with pineapple. Love the idea of using apricots instead. Sometimes it’s just that “duh” moment when you think, “Why’d I never think of that?” :) Cream cheese frosting is so dangerously addicting. Lucky if it makes it to the cake! What a wonderful recipe, thank you for sharing! Daveed, THANK YOU for giving the weight of the flour! I went out and bought the scale you recommended, and have forever since kept it in the sealed plastic bag, as you recommended. Now I sift to my hearts content. Will this work with a good Gluten free all purpose flour? The cake looks so delicious. I’m looking forward to making it for my friends. I have made the banana muffins and they are great. I find Alice’s choice of flour blends to be unlike mixes I’ve read in other books. She is an amazingly talented cook book author. Like Maida Heatter Ms Medrich’s recipes clearly come from her own hands. So many cook book authors never set foot in a kitchen to test their recipes. Of coarse it shows in the end. I never understood how I would be able to get butter in table spoons….little marks….you just cut them! It does not help me in my Dutch kitchen. But now I know somebody somewhere is happy to cut it right away! Thank you…also for inspiring writing about food that is really good! … Congratulations on being a finalist for IACP awards in Literary Food Writing and International for “My Paris Kitchen: Recipes and Stories!!! Just saw the news about them. Would that be 3/4 cup powdered sugar or 3/4 cup powdered sugar, sifted? I also prefer to bake my sweet potatoes instead of boiling them. Besides concentrating the flavor, I think the color is much more vivid when they are baked. Excellent cake! I chose to make it in a square 8 x 8 glass pan. It took longer to bake it but came out perfectly moist and delicious. With all due respect to cream cheese-frosting lovers, I think it would have been better off without. It has such a rich flavor that the frosting adds little. 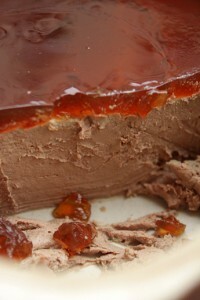 Thank you for your always enjoyable blog and such creative and wonderful desserts. Two of my favorite bakers, David and Alice Medrich… I’m in heaven! I have religiously purchased all of Alice’s books and hung on to Cocolat when it went for a whooping $150 on Ebay a couple years ago. I love her references and the intensity of taste that she gets in her recipes. David, your books are, however, the ones from which I make most of my home-baked goods… these are no-fails, delicious and have graced my franco-american kitchen since the beginning of your cookbook publishing career. I also love your blogs and they bring me home away from home. 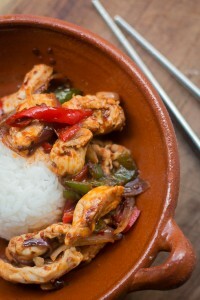 I love your blog and have tried numerous recipes. This one is also a winner…one question, however: My cakes taste delicious, but did not ‘rise’ very much. What could be the reason? They are quite dense and not very high. I followed the recipe, baked 2, pans, one in 8 and one 9 inch. Shall I try the next time with more baking powder? Thanks! 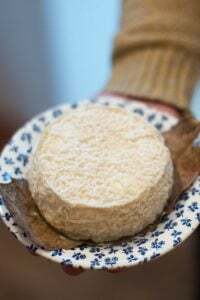 Thanks for sharing this fabulous Alice Medrich recipe. I made it this morning in a loaf pan, using a gluten-free flour mix and it came out beautifully. Barbara: I think this would make excellent cupcakes – good idea! nan: Thanks for the report back. Glad to know you could adapt to to be gluten-free. donna: Mine resembled (and rose) like the one shown in the photo, although it is a somewhat dense cake. I would not recommend adding more leavening to help it rise as that usually doesn’t work. (Too much leavening can cause the cake to rise too much, then the structure can’t support it, and falls. So it can actually make cake too-dense.) Try testing your baking powder to make sure it’s still good. I soaked the chopped apricots overnight and found I did not have any remaining drained vermouth. 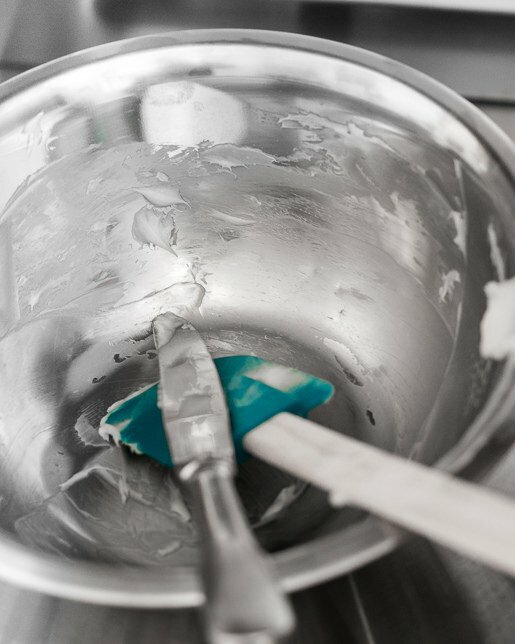 How much liquid would you guess you added to the batter? I’ve never had that happen (and I crossed checked with Alice’s original recipe just to make sure) so I can’t really say. If I had to guess it’d be 1/4 cup (60m). Hope that helps ~! I always thought Alice Medrich was way ahead of her time. She started experimenting with flavor combinations and different flours long before it became popular to do so. I have this book, but haven’t looked at it in a while. (So many books …) Thanks for the reminder that it’s time to go back to some original sources. Great recipe! I made this on Friday night and shared the first cake on Saturday morning with the construction crew working on Mom’s kitchen. The second cake was devoured on Saturday night at the end of a long, boozy dinner party. I used brandy to soak the apricots and I thought it enhanced the flavor of the cake quite nicely. I will most definitely be making this again. Thanks, David! Wow this sounds so unique! I would never think of putting sweet potato in a cake! Fortunately in the states, each stick is marked with how much it weighs and marked for tablespoons. Some of the French butters are marked as well. How about Jewish Parisian recipes for Passover. I would love to do something new this year. I agree with Seyma; some innovative Passover recipes would be marvelous, such as a salade cuite that doesn’t take 6 hours, maybe. Made it without the frosting. Exquisite. Thank you, David! Chocolate and the Art of Low-Fat Desserts is my favorite cookbook too David. It was gifted to me years ago by a friend and is now lovingly dog-eared and battered from overuse. Upon reading this post I immediately bought Medrich’s book “Chocolate and the Art of Low-Fat Desserts” before I even made this cake, I trusted David’s recommendation implicitly. I made this recipe in a bundt pan and instead of apricots, used figs and just dusted it with powdered sugar, shared with friends and neighbors and got raves! I’ve lost weight and am not going to give up sweets, so really appreciate this post, thank you David! I made this last night and love it. I vacillated between Martini and Noilly Prat but went with the Martini this time. It is delicious, delicious, delicious! Moist and moreish with tiny morsels of surprise in every bite. Thanks, David! David, David, David….you must have peeked in my refrigerator. Last year, I bought a 1/4 pound of Vermont butter at a local cheese creamery. You’d think they’d make their own at that price, but I’m not the boss. My 85 year old mother was coming for our annual camping trip and I wanted to present this butter to her at breakfast with our campfire biscuits and homemade marionberry jam, an Oregon speciality. Well, my husband found the butter and was using it willy-nilly. Back I went to the creamery. I hid the second stick so well I couldn’t find it when it was time to start packing for the camping trip. Again, back to the creamery. By now I was in for $15.00 worth of butter and hadn’t sampled it once. I hid the third stick in a tofu container thinking no one would think to look in there for a snack! The housekeeper saw the expiration date, and oops, out to the trash bin it went. By now, I was embarrassed to purchase a fourth cube in nearly as many days, but sucked it up and went into what was now, nearly a personalized parking space by the back door, near the ATM. Bottom line, I purchased the ultimate $20.00 cube on the way to the campout, put it in the ice chest, drove to the campground and voila!, I successfully buttered our biscuits at breakfast the next day. Was it worth it? You bet and I’ll be doing it again this year. Thanks for the great memory! PS The recipes on your site are nearly as great as the butter. Love the look and sound of this cake..great option for diabetics , right? Yes, a commenter left a message here in the comments that she did it. Be sure to adjust baking times for smaller pans; the cakes are ready when a toothpick inserted in the center comes out clean, or with just a few crumbs attached. That looks like a lot of sugar! -Bobster ;) might halve it.